Camponotus saundersi has an incredibly fascinating relationship with a parasitic fungus called Ophiocordyceps unilateralis (Hypocreales, Ascomycetes) which is an entomopathogenic fungus specific to Formicine (genus) ants (Kobmoo et al. 2012). Some people may refer to this attack as a creation of a zombie ant! Here’s how it works. A happy little carpenter ant is walking around the rainforest floor when unknowingly to him, he walks straight through microscopic spores of Ophiocordyceps unilateralis just waiting for the perfect host to attach onto. After attachment, the fungus secretes enzymes that eats away at the ants exoskeleton and forms an opening which allows it to enter the body. In a couple of days, this once healthy organism begins to exhibit strange behaviors, like a zombie, which causes it to leave the duties of a working ant and, and find the perfect location for optimal fungal growth. 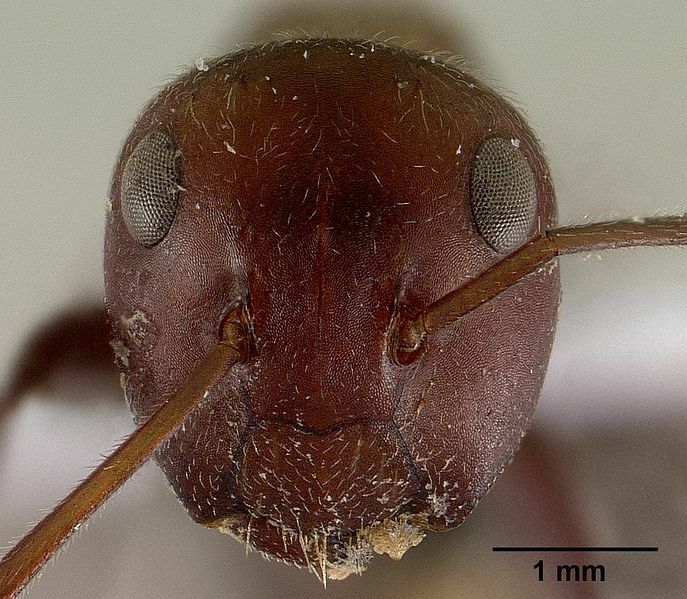 The fungal spores are literally able to control the ants mind! Once the zombie like ant has found the perfect spot, the fungus will consume the ants organs while using the exoskeleton as protection. On the back of the ants head, a large stem of fungus, called a stoma, will emerge and release an array of spores onto the forest floor. Any poor ant that makes his way into this “killing zone” will be infected and inevitably become another victim (Hughes 2012). For more information on the infection these organisms experience check out this webpage here. Unfortunately for our species of interest, this parasite has been able to wipe out entire colonies of ants, which can be detrimental to the ecosystem. A clever trick that has helped massive amounts of colony members to prevent being infected is the adaptation of noticing an infected member. This means carpenter ants are able to recognize the symptoms of an infected ant, and will in response, carry the ant far away from their home (Kabmoo et al. 2012). If you have an interest in fungus, and how they interact with other organisms, click here or here to check out some different fungi other students have researched.